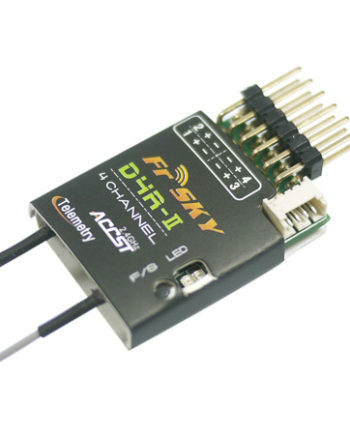 It is FrSky 2.4 Ghz Technology, packed into an amazing, affordable package. SD card and USB port. I haven’t found a better value in a radio and neither will you. This radio is a cadillac compared to a Turnigy 9x. With this radio, you get a reliable link to your quad, good controls, lots of extra features, open source software, programability and more for much less than other brands. The Frsky Taranis X9D plus 2.4 Ghz radio mode 2 version B with no case- Is simply the best radio transmitter for the money. The FrSky Taranis system is among the very best on the planet. It is a frequency hopping system that has a proven track record to be VERY reliable, even at extended ranges. Why telemetry? We recommend the telemetry for the very simple reason that the radio can warn you if you are having a reception issue on the aircraft. We consider this VERY IMPORTANT. This is good for you, and it is great for the hobby. If your current radio does not have this RSSI feature, then you should seriously consider upgrading today. Why guess if you are having any issues? With telemetry your transmitter will alert you if the radio link starts to weaken. This can happen due to poor aircraft layout, radio damage, or some issue at the field. It has saved MANY planes, and will continue to do so. No more waiting for our planes to crash! FrSky packs features into everything they make. Not only will you find great prices, but you also will find innovative features that are not available from other brands, or are charged a premium with other brands. This is the FrSky way. Give the customer more, and charge them less. Version B means that the amplifier circuit is improved, there is a larger battery (2000mah) with capabilities for charging larger batteries.